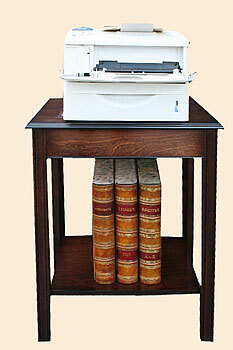 These useful freestanding tables are ideal for storing fax machines, printers, telephones or computer equipment. 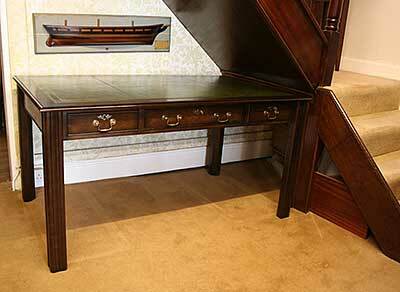 They come in a range of sizes, with a choice of leather or polished tops and have a shelf underneath. 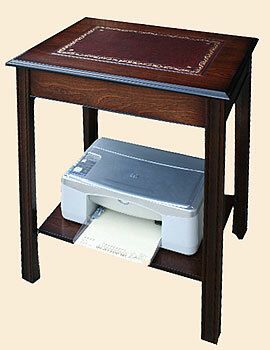 DC 040 Fax/Printer Table. 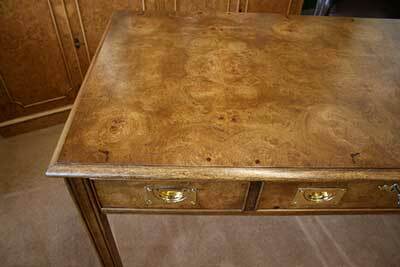 30" ( 76 cm ) x 18" ( 46 cm ) Burr Oak finish shown with optional drawer fitted. 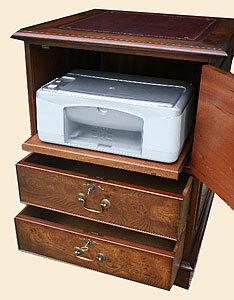 Available with a top opening cupboard door ( left or right hinged ) with pull out printer slide. 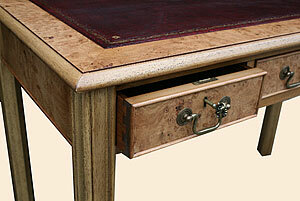 Choice of two single drawers or a double filing drawer. Two styles available. Chippendale and Victorian. 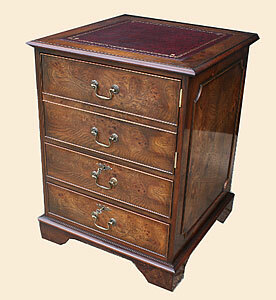 Both Premier Range Quality with three locking top drawers. 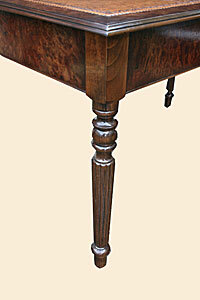 Table shown. 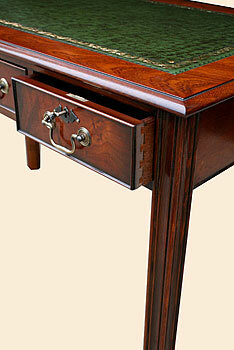 DC044C Chippendale Style Writing Table. 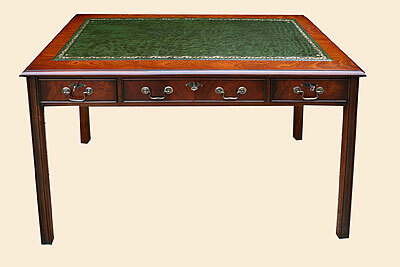 W 4' (122) x D2 ' (61cm) H 31” (79) Antique Mahogany Finish. 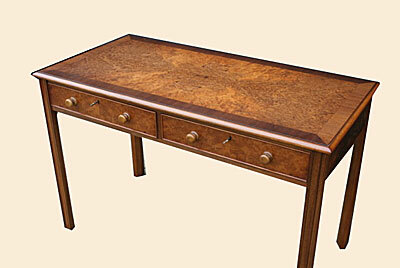 This table has also been made with 2 drawers & round turned knob handles. 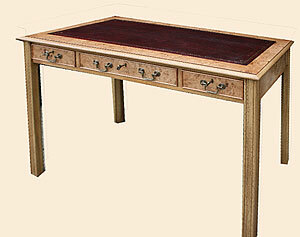 DC046C - Burr Oak writing table with wine leather top. W 60" 153cms x D 36" 92cms x H 31" 79cms. 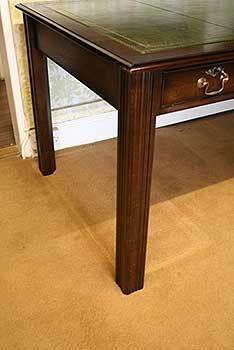 Table shown. 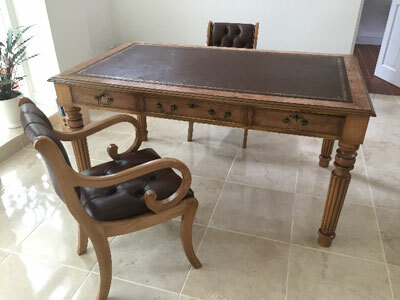 DC045V Victorian Style Writing Table 4' 6" (137cm) x 2' 6" (76cm) Burr Elm Finish. 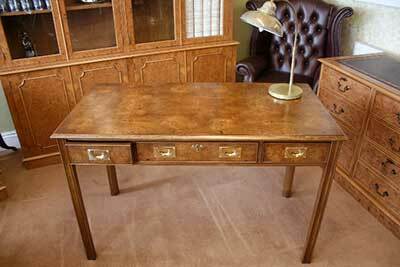 5' ( 152 cm ) x 3' ( 91 cm ) model shown in Burr Oak finish. 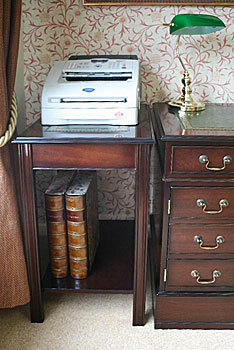 Conceal a Safe in a made to measure cabinet to match you other furniture. Reenforced base for strength. Locking door which can be hinged left or right. 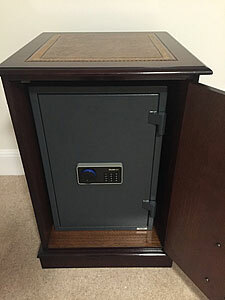 Please email you safes dimensions for a quote. 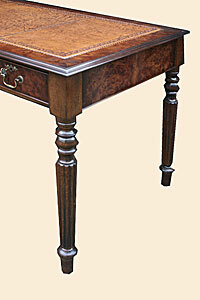 Example shown in Dark mahogany. Leather top. 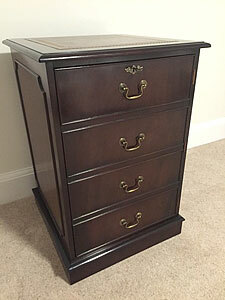 Looks like a filing Cabinet. 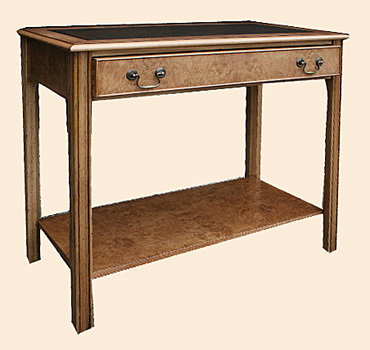 DC046C - A Dark Oak Chippendale style Writing Table with Bottle Green leather top. W 60" 153cms x D 36" 92cms x H 31" 79cms. 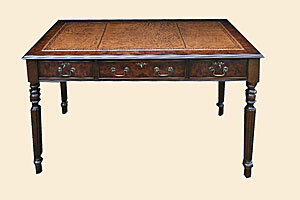 DC044C A Burr Oak Chippendale Style Writing Table. 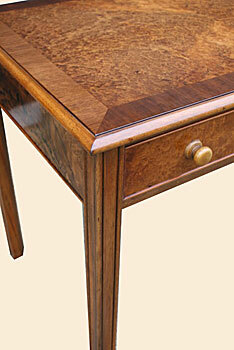 No cost option polished top. Optional brass military style handles fitted.